I've actually played that a few times. It's a lot of fun, and very funny. 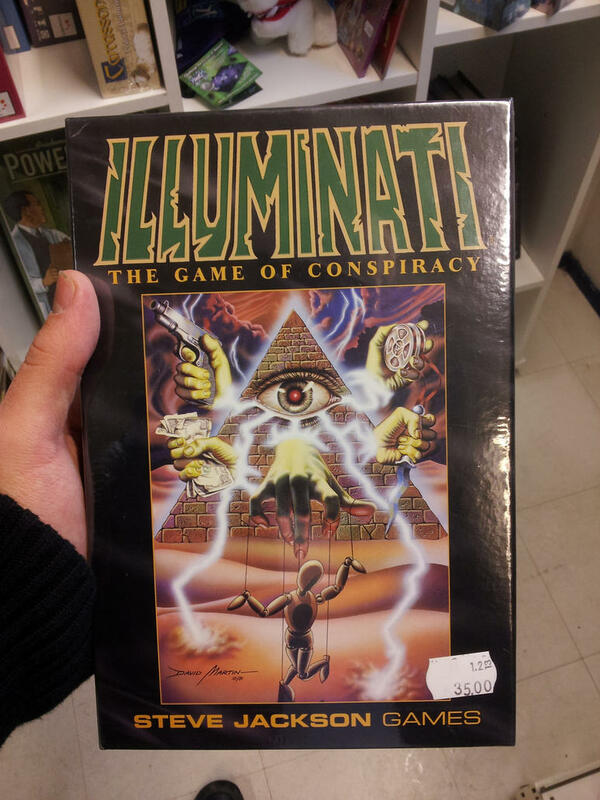 The Illuminati isn't even in this universe, so why do people here think it's real? I got informed about a couple of Earth residents being transferred from this universe (PP43A) back to their apparent 'home' universe (XX349/3599.42) (due to apparent illegal activity regarding law 230.2392.25/A), a parallel of this universe, with the same galaxies, systems and planets including Earth (or Sol Terra 3, a slang term used by the Traquanli Space Fleet and associated) and the same geographical features, species, etc etera. However, it had one noticeable difference, the replacement of any democratic, anarchistic, aristocratic, corporatocratic, communistic, epistemocratic, kleptocratic, plutocratic or theocratic system with a global dictatorship called the 'Illuminatii' (notice the difference of spelling, with double i’s instead of the generally accepted one i). Whether this has any relation with the Enlightment-era secret society called the 'Bavarian Illuminati' is yet to be known. Genuine post by genuine space people. Every single part of this is true. Watsisname, I have a feeling that some people will actually believe this. They do. Phil Plait posts an article on his blog debunking whatever version of that is making the rounds this time at least once a year. Are you saying you think this is a conspiracy theory then? What if Big Pharma paid Jenny Mccarthy and Andrew Wakefield to scare parents off vaccines, leaving their kids open to all sorts of epidemics? Instant profit! Is Our Government Hiding Planet X? According to conspiracy theorists, the U.S. government and NASA have been denying that it even exists and have failed to inform the public of Earth’s impending doom. They believe it’s one of the biggest cover-ups in the history of mankind. Allegedly, Planet X is currently on a collision course with our planet and that a catastrophic event will take place before April 2016. But wait... a bunch of rich and powerful people ARE paranoid about the apocalypse!